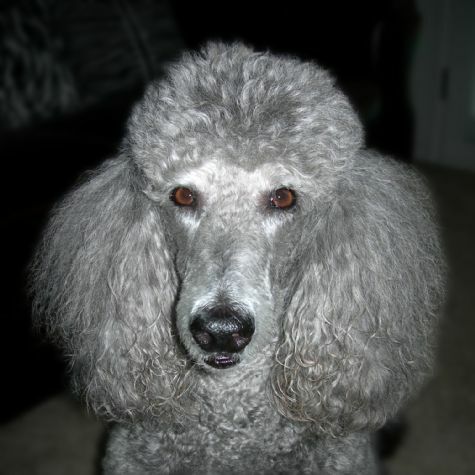 Rada is called a Caniche Poodle because she's not as large as a Standard Poodle, but she's larger than a Miniature Poodle. I got Rada from a friend whose boys thought she was a "girly dog". She has been mine since she was a year old. Rada loves going to the hospital. Whenever she sees my green shirt, she runs to the front door and barks until we go. She is sweet and loves to cuddle, but her stomach must be a trash can. She will eat anything. Once she ate frozen pork chops and didn't get sick!